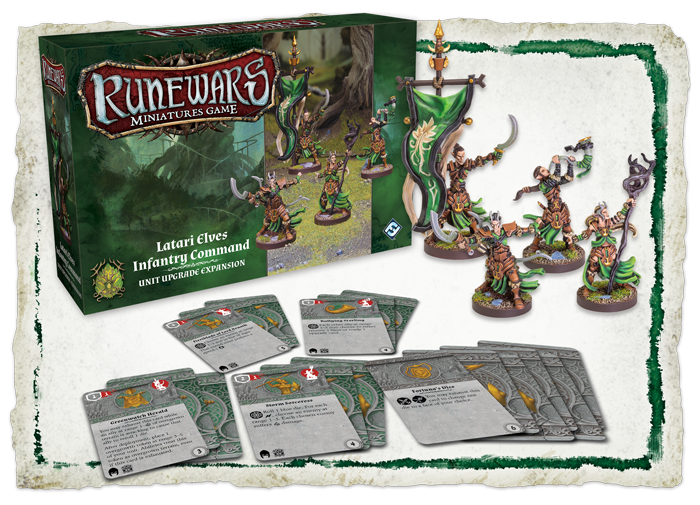 Fantasy Flight Games has released the Deepwood Archers Unit Expansion and the the Latari Elves Infantry Command Unit Upgrade Expansion for Runewars Miniatures. 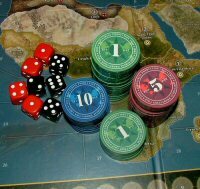 Those who wish to take up the Path of the Arrow begin not long after they can stand. After decades spent with lesser bows, the strongest and most accurate trainees may try to become fully fledged archers. 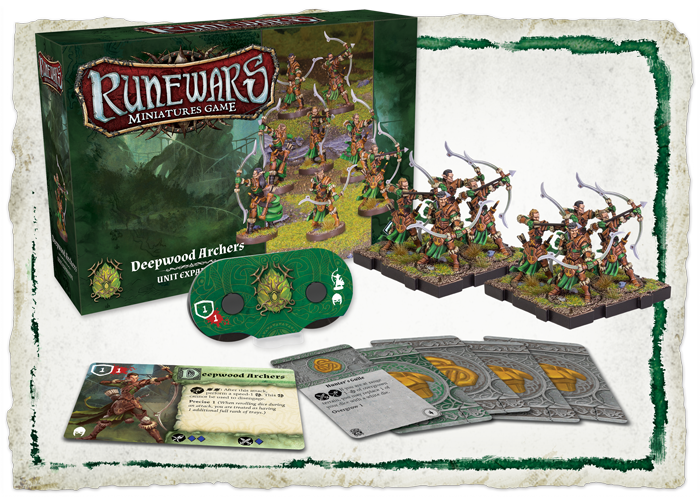 These undisputed masters of the bow, the Deepwood Archers, spend their immortal lives in service to the Latari, defending the Aymhelin Forest with tireless loyalty. Whether protecting the capital city of Lithelin or the outskirts of Latari territory, the archers bear their duty with pride. 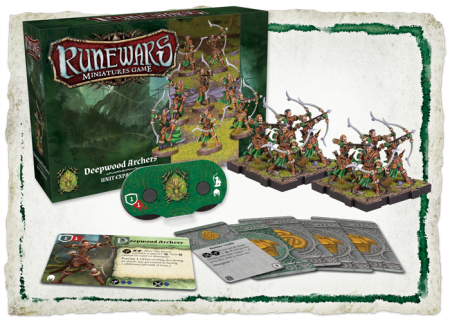 Now, as dangers begin to stir in the realm of Terrinoth, the Deepwood Archers are ready to stand united in defense of their home and their people. 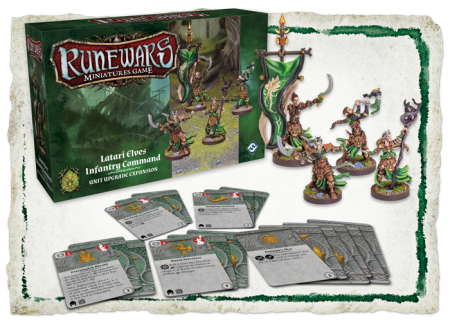 Ready your army to protect the Aymhelin Forest—the Deepwood Archers Unit Expansion and the the Latari Elves Infantry Command Unit Upgrade Expansion for Runewars Miniatures Game is on sale now!